Looking for Online Fitness Tests & Fit Tools? Why are online fitness tests necessary? It’s important for several reasons to get a baseline of where you are when you started on your journey to a fit lifestyle and these tests are one way to do it. One reason is to set a practical plan in motion to achieve your goals while the other is to be able to compare how far you have come on your journey. Women, especially, often get discouraged because they forget how far they have actually come. A journal filled with photos along the way, measurements and personal insights as well as positive affirmations from others on your progress are all important milestones to record in order to stay motivated. The best way to get your baseline Body Composition is to have a certified personal trainer do it. But if that is not an option, online fitness tests will work and I will do my best to explain how. Once you figure this out, below are Fit Store links that will help you to be successful. You will find links to buy cheap fitness equipment online, online fitness supplies and more. For this part of the online fitness tests, you will need a digital scale, measuring tape, and a journal. Step 1: Calculate your height. Step2: First thing in the morning before eating or drinking and with no clothes, record a baseline weight and date it in your journal. Keep in mind that the scale should NEVER be the dependable measure that is your “go to”. Having a certified personal trainer calculate or online fitness tests measuring BMI (body mass index) and body fat are going to be more reliable than a scale alone. Women often fluctuate 3-6 pounds in water weight.Also, as you build lean muscle and lose fat, the number on the scale may very well increase since muscle weighs more than fat. BUT, it is also denser and held together more tightly thus making your clothes fit looser. The way your clothes are fitting is really the best visual indicator. Using these measurements to calculate your BMI gives us a ratio of your height to weight and can be an indicator of future disease. 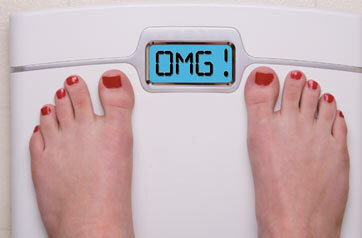 Step 3: Fill in the numbers and it will calculate your BMI for this part of your online fitness tests. Based on this number, you now have a place to start. The next number we need is your body fat percentage. This is a bit more complicated to figure out. If you are looking for a fitness and online personal trainer like me to help I can do it but I am not there in person to ensure accurate initial skinfold measurements. To proceed with calculation, click on the Measurement Tools button above. You will need a caliper and an extra pair of hands for this test. Whatever you do, start strong and stay strong! Don’t let initial measurements discourage you. Read About Me and learn from my story how quickly the turn around can come. If you eat the right amount of lean proteins, carbs and fats and the right kinds of these transforming fitness foods and start building lean muscle you will be shocked at how quickly the fat begins to melt off. Online fitness shops and sites such as mine are other great ways to stay motivated. Buy Fitwear for the gym that makes you feel empowered and sassy. Read stories from other women just like you and me who have decided they could and just did it! You are not as far away from that fit body as you think. Change begins to happen the very moment you believe it can!